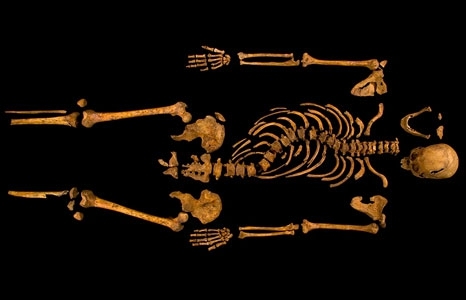 When the University of Leicester Archaeology Service undertook the Grey Friars project, it was thought that the chances of finding the remains of Richard III were slim to none. Nevertheless, Professor Turi King, with her background both in archaeology (at the University of British Columbia and then the University of Cambridge) and genetics (at the University of Leicester where Professor Sir Alec Jeffreys, the inventor of DNA fingerprinting, was on her PhD panel), was the first team member approached by the lead archaeologist for the dig. Should the skeletal remains of a 'good candidate' to be Richard III be found, would she be interested in overseeing the DNA analysis from planning the dig through to its conclusion? Turi King will speak about the Grey Friars project, from the early stages of planning the dig, through to the excavation and the results of the various strands of analysis, particularly the genetics, carried out on the remains.